Are you looking for the results of the August 2013 Metallurgical Engineers Board Exam? Well, the Metallurgical Engineers Licensure Examination for Metallurgical Engineers Board Exam Results was posted here . It was held on August 10, 11 & 12 2013, you can check on this website about the official results. The Metallurgical Engineers (WES) Board Exam was given in the cities of Manila and Davao. 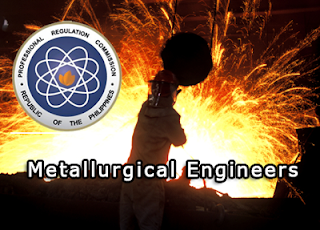 The Professional Regulation Commission (PRC) together with the Board of Metallurgical released the 25 passers of 42 examinees of .Metallurgical Engineers Licensure Examination. The lists of Metallurgical Engineers (WES) Board Exam top performing schools and performance of schools or topnotchers, a few days after the last day of exam. Comments or suggestions about "August 2013 Metallurgical Engineers (WES) Board Exam Results | Metallurgical Engineers Passers August 2013" is important to us, you may share it by using the comment box below.